Mindfulness Meditation Can Help Relieve Anxiety And Depression : Shots - Health News People are increasingly turning to mindfulness mediation to manage health issues, and meditation classes are being offered through schools and hospitals. But doctors have questioned whether this ancient Eastern practice really offers measurable health benefits. People are increasingly turning to mindfulness mediation to manage health issues, and meditation classes are being offered through schools and hospitals. But doctors have questioned whether this ancient Eastern practice really offers measurable health benefits. A fresh review of the evidence should help sort that out. Meditation does help manage anxiety, depression and pain, according to the 47 studies analyzed in JAMA Internal Medicine on Monday, but does not appear to help with other problems, including substance abuse, sleep and weight. "We have moderate confidence that mindfulness practices have a beneficial effect," wrote the author of the paper, Dr. Madhav Goyal of Johns Hopkins School of Medicine, in an email to Shots. He says the positive effects on anxiety, depression and pain can be modest, but are seen across multiple studies. One type of mindfulness training that was used in many of the research studies is calledMindfulness-Based Stress Reduction (or MBSR). It's typically taught in eight sessions. Think of it as Buddhist meditation "but without the Buddhism," says Jon Kabat-Zinn, the father of MBSR. It's completely secular. The focus of mindfulness meditation is to train the brain to stay in the moment. To do this, practitioners are taught to let go of the regrets of the past as well as anxieties about the future. This study reviewed earlier research that evaluated the effectiveness of meditation for managing a whole range of medical conditions — from breast cancer, irritable bowel syndrome and fibromyalgia to depression. Buddhist Meditation: A Management Skill? With diseases like breast cancer, meditation is not used as a treatment for the disease. It's supportive care designed to help a person deal with the stress that comes with cancer. In one breast cancer study, researchers enrolled 163 women with stage 1 or stage 2 breast cancer. The women were randomized to either an 8-week mindfulness-based stress reduction class or to other kinds of more standard supportive care. Techniques taught during the meditation class included visualizations to help shift attention away from thoughts that cause anxiety. The point is stop the mind from wandering off and to connect with your body. Do your toes feel colder than the rest of your body? Are you feeling resistance in any part of the body? The teacher guides participants to tune in. After four months, the women who meditated experienced significant improvements in what the researchers called quality of life and coping outcomes, compared to the women in other groups. Clearly, meditation is not for everyone. It's a discipline that needs daily time and attention. And in many of the studies meditation was no more effective than medications and other non-medical treatments, including exercise. In addition, the meta-analysis found little evidence that meditation programs could help treat substance abuse, sleep or weight issues. 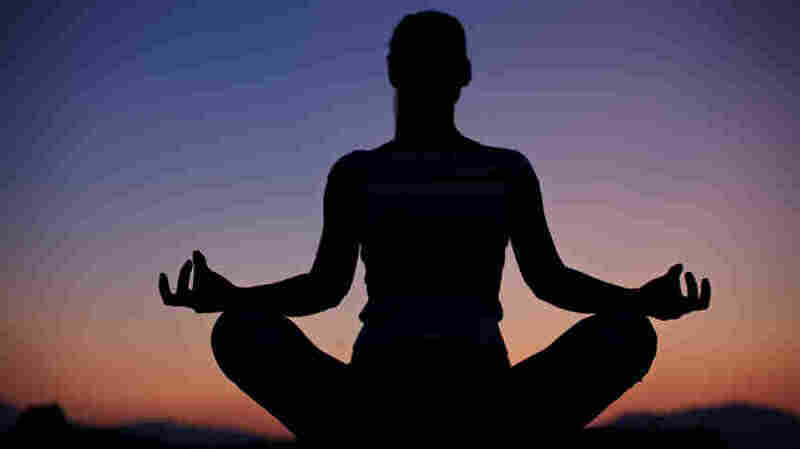 But the researchers concluded that meditation has no harmful side effects. And it's free and something people can easily do at home. Here's my favorite mindfulness visualization: If you've got a nagging thought that won't go away, just picture a cloud. Visualize that nagging thought being attached to the cloud. Now watch it float away. What's left behind? A clear, blue sky. And hopefully a clearer mind. At least for the moment!